In its raw form, turmeric looks a bit like ginger and for cooking it’s usually boiled up, dried in the sun and then ground down into a fine powder. The turmeric plant itself is called ‘Curcuma Longa’ and is mainly found growing in Southeast Asia and India. It’s the root of the plant that is ground up to make the bright yellow turmeric powder that we all recognise. 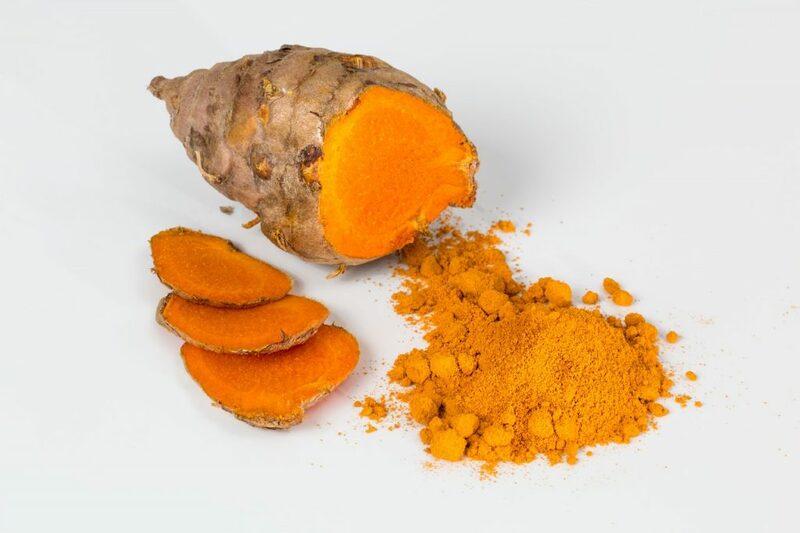 The flavour is warm and it carries a mild aroma ideal for curries, but as well as cooking, turmeric was traditionally used for colouring fabric, medicinal purposes and hair and skin care. Despite its use in Ayurvedic medicine for thousands of years, the western world are only now catching up with preliminary clinical trials showing astonishing results. In terms of beauty, turmeric proves to be both effective, versatile and dynamic which ties in well with Avedas belief that nature is our best asset, with natural ingredients creating effective results that stay in harmony with the body. The unique curcumin compound found within turmeric is the magic ingredient that can alleviate and improve many ailments and conditions. Antioxidants protect your body from highly reactive, unpaired atoms or molecules known as ‘free radicals’. These free radicals are considered a health risk because they attack healthy cells, proteins and DNA. They come from a range of sources like UV rays, diet, exposure to metals, medicines or smoking and consequences range from affecting the appearance of your skin through to Alzheimer’s, Parkinson’s disease and cancers. Oxidative damage is said to be one of the main causes behind ageing and disease. Luckily Curcumin is a potent antioxidant which not only neutralises free radicals but also boosts the activity of your bodys own antioxidant enzymes. We all need Inflammation. It not only aids the body in fighting foreign bacteria, but also takes a role in repairing damage. So in the short term, inflammation is a good thing, but not when it becomes a permanent feature. The belief that chronic low-level inflammation is a key contributor in disease is now upheld in western medicine. Degenerative conditions like Alzheimers, heart disease, arthritis and cancer all feature some kind of inflammation, as do digestive conditions like IBS. Inflammation of the skin can not only feel irritating and uncomfortable, but can translate as redness, dullness or blemished skin. So it’s not hard to see why it’s so important to try to prevent inflammation where possible. Curcumin is strongly anti-inflammatory. In fact, it’s so powerful that it can match anti-inflammatory drugs, without the negative side effects. When applied to skin turmeric based products soothe and calm the skin. Brain function is determined by the forming of new connections between neurons, via brain growth hormone BDNF. Brain disorders such as Alzheimers and depression are linked to a reduction in levels of BDNF. The curcumin is now known to increase levels of BDNF in the brain, effectively delaying or even reversing brain disease and malfunction. Another active ingredient in turmeric is turmerone, with studies showing it contains neuroprotective properties that support cognitive performance. Heart disease is the single most common cause of death globally. Studies have shown curcumin to have beneficial effects on several factors known to affect heart disease. It improves the function of the endothelium (lining of blood vessels), which improves the ability to regulate blood pressure and reduces blood clotting. The anti-inflammatory and anti-oxidant power also maintains the health of the heart via neutralisation of free radicals. According to Cancer research, curcumin is of huge interest and shows potential as a means for both cancer prevention and treatment. A number of lab studies have shown the anti-cancer effects of curcumin to include seemingly able to kill cancer cells; Better still, prevent more from growing. Breast, bowel, stomach and skin cancer show the best results in clinical trials with doctors and researchers assessing that curcumin stays in the digestive system and is absorbed by the cells in the bowel, heightening its effect. Changes on a molecular level help to prevent cancer and potentially could be used along with conventional cancer treatments. Turmeric can also brighten and even out your skin tone. The neutralising of the free radicals remove problems in the skins function. 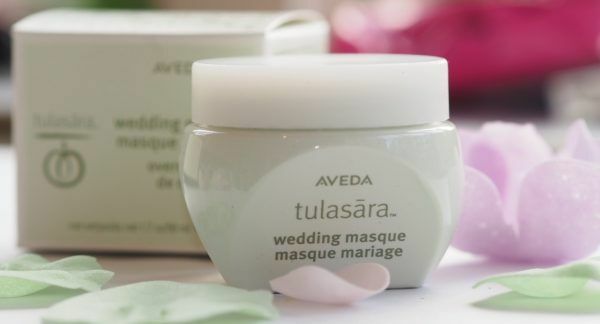 Aveda’s Tulasāra™ Wedding masque contains turmeric extract for this reason and was inspired by the Haldi (meaning turmeric) ceremony from India, a pre-wedding tradition where a homemade turmeric paste is applied to the bride and groom for radiant glowing skin on their wedding day). Turmeric is both gentle and invigorating and makes for a wonderful exfoliator cleanser for the hair and scalp. Aveda have discovered that turmeric can reduce hair loss, adding it to shampoo specifically for thinning hair as well as in thickening conditioner that will improve your hairs health and reduce loss through breakage. The scalp is the foundation of hair, so keeping it healthy is essential if you want hair that’s long and strong. Turmeric is one natural ingredient that invigorates the scalp while remaining gentle on delicate skin. As turmeric revitalises the scalp, it makes way for healthy hair to grow. Turmeric is an essential ingredient of the formula in our Invati Advanced™ 3-step system. Invati Advanced™ exfoliating shampoo gently exfoliates and renews the scalp using a blend of certified organic turmeric and wintergreen-derived salicylic acid to unclog pores. Invati Advanced™ thickening conditioner uses certified organic amla to instantly thicken and naturally derived amino acids mimic your hair’s production. Invati Advanced™ scalp revitaliser uses organic turmeric from India and ginseng to invigorate the scalp when massaged in. Tangerine peel and Japanese knotweed penetrate the surface of hair and support the hair’s natural keratin. Certified organic amla is used to give instant lift to your hair. Too many of us automatically reach for ibuprofen, paracetamol and aspirin when we’re in pain, which over time can result in liver, heart, immunity, kidney and addiction problems. Turmeric is a natural effective pain killer, containing polyphenol, a powerful anti-oxidant to free radical damage. The anti-inflammatory property in curcumin can help reduce pain as well as aiding post-surgical pain and burn injuries. Curcumin is also found to relieve neuropathic pain (similar to pins and needles sensation). Turmeric can be used to ease symptoms of arthritis, heartburn, stomach pain, diarrhoea, gas, liver problems, gallbladder issues and headaches. Curcumin’s anti-inflammatory and antioxidant capability benefits sufferers of IBS and digestive issues… The digestive tract suffers from bacterial infections which causes the pain, diarrhoea, constipation and bloating. Turmeric is an effective digestive aid, but also protects the digestive tract. As expected the potent anti-inflammatory effects of turmeric/curcumin make for an effective remedy in helping alleviate symptoms of osteoarthritis and rheumatoid arthritis, helping to modify the immune system responses. As found on the arthritis foundation website, evidence from a number of clinical trials suggest that turmeric provides long term improvement in pain and function and reduces joint pain and swelling more effectively than its anti-inflammatory medical counterparts such as NSAID. SUB NOTE: Although turmeric has all these benefits, it is advised that you use the supplement with caution in conjunction with other conventional medications. Pregnant women should avoid thanks to limited research on effects. Medical advise should always be sought before commencing with regular consumption of high dosage turmeric extract. Did you know that we have a yoga and pilates studio blog too? Head on over for a wealth of professional insight on life, health, wellbeing and fitness. Want to Fix Your Damaged Hair? Find your Ideal Weight with Affordable Nutritionists Sessions and get ‘Slim With Science’! Earth Month 2019 – 3 Ways to Help us Raise Money for Charity Water! True or False? Hair Myths Uncovered!